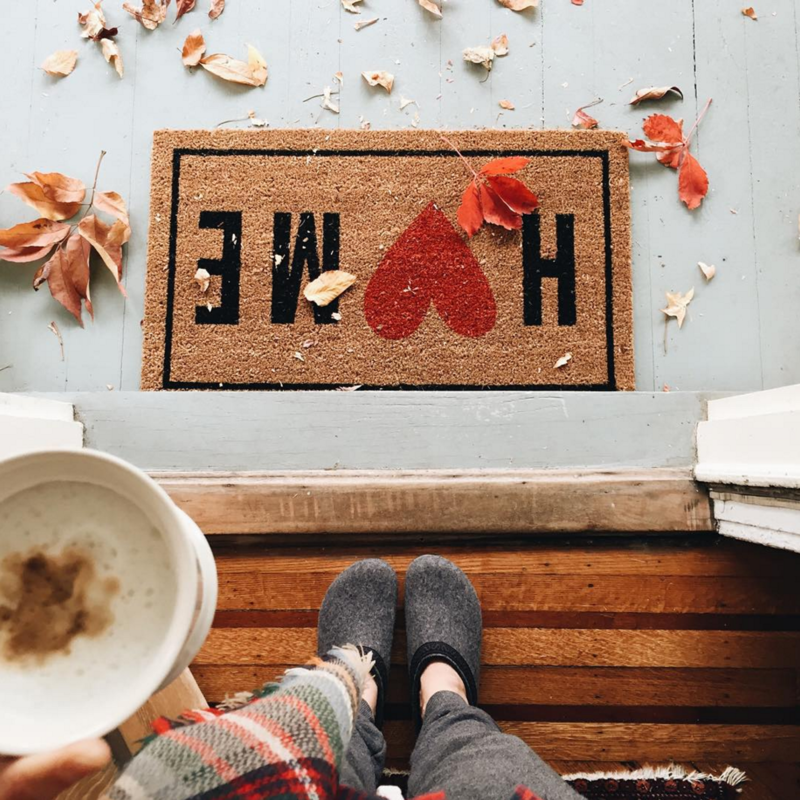 The door mat is more than something you wipe your feet on. Sure, it’s that… but the funny, clever, and good ones with a great font make me really happy. 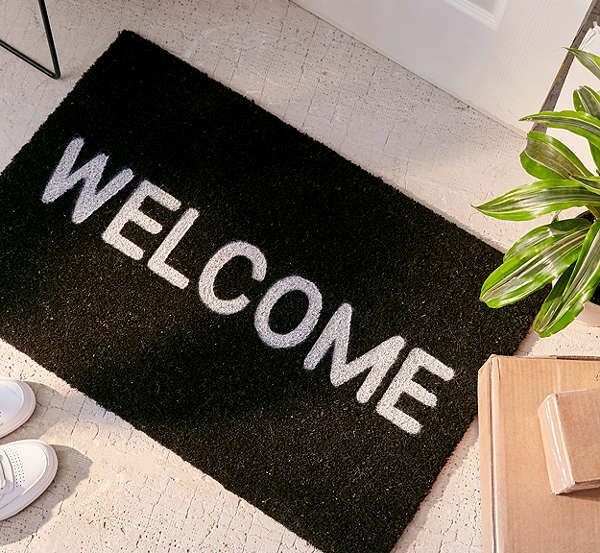 It’s such a fun way to welcome someone to your home (particularly FedEx and UPS this time of year!). 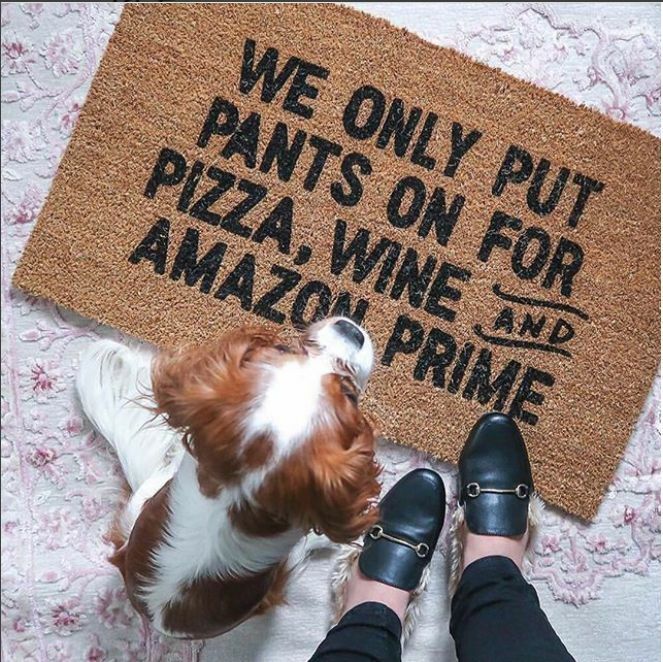 So where do you find the best and most fun door mats? 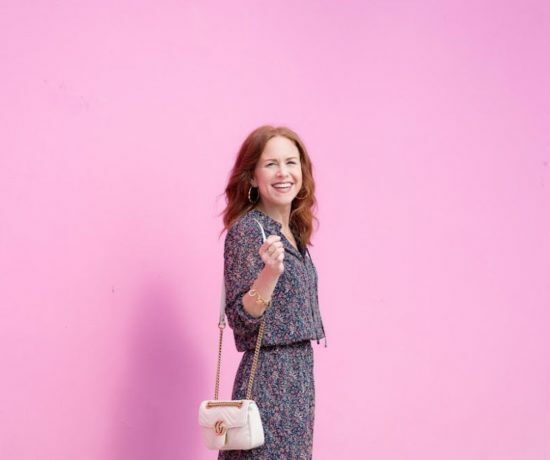 A few of my favorite shops include Target, Fox & Clover, Shop Josie B, Lulu & Georgia, and Urban Outfitters; Pottery Barn also has a great selection of monogrammed options. 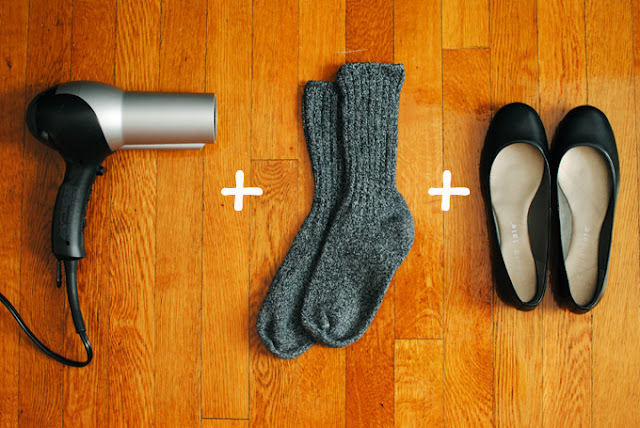 So what type of door mat kind of girl are you? And, ever think you’d be asked that question? There’s the traditional, the monogrammed or the fun. I tend to impulse purchase a new one every so often during a trip to Target — because “impulse” and “Target” are basically one in the same! — however, I’m absolutely loving some of these clever, snarky ones, many found on Etsy. 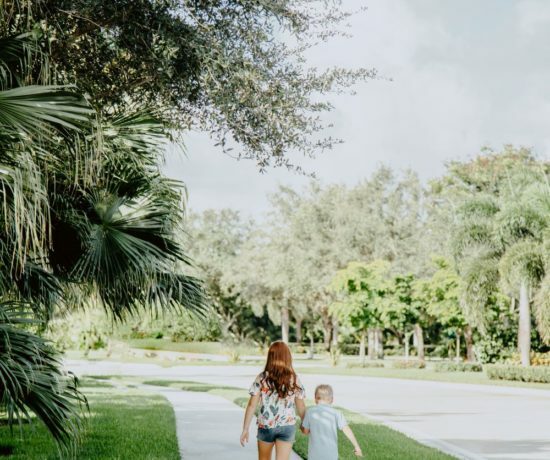 “We only put pants on…”, via Fox and Clover Boutique. 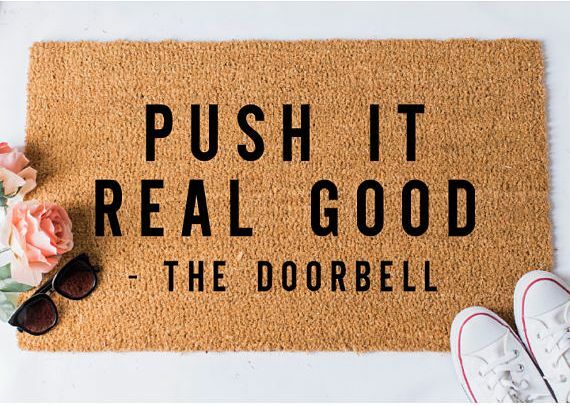 “Push It Real Good,” by Fox & Clover Boutique. 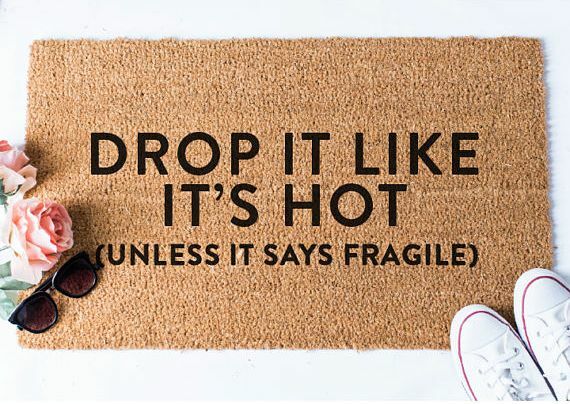 Drop it Like It’s Hot, via Fox & Clover Boutique. 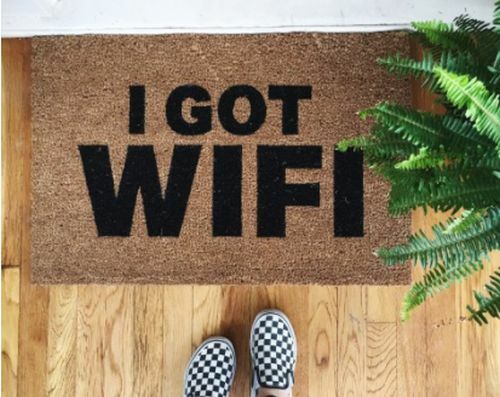 I Got Wifi, via Lulu & Georgia. 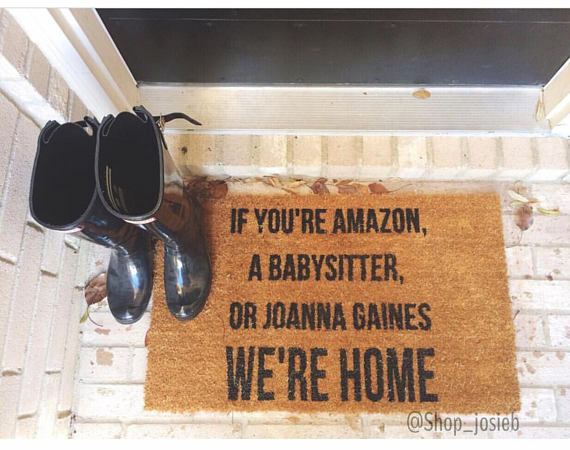 “If you’re Amazon….”, via Shop Josie B. 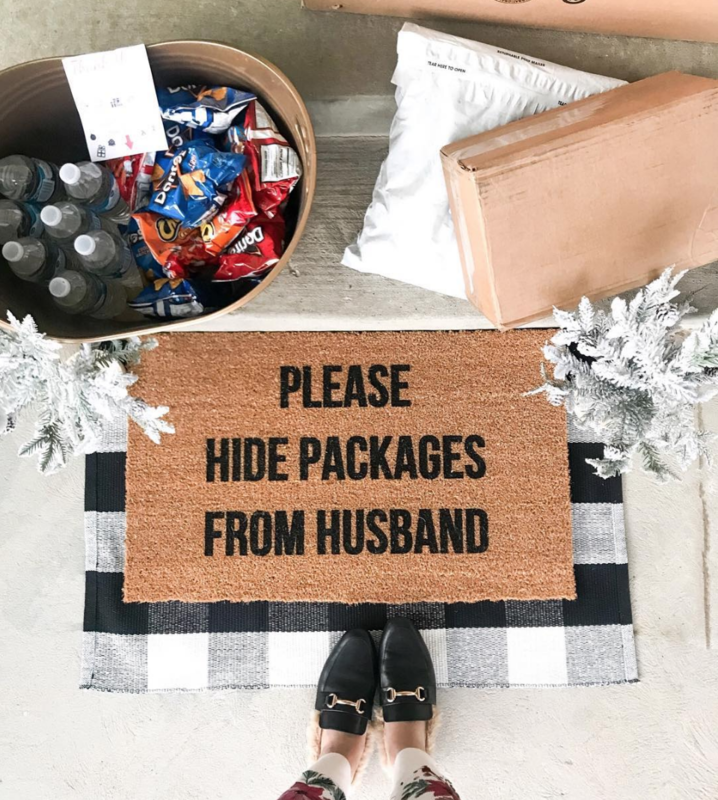 “Please Hide Packages” doormat, available at Shop Josie B. 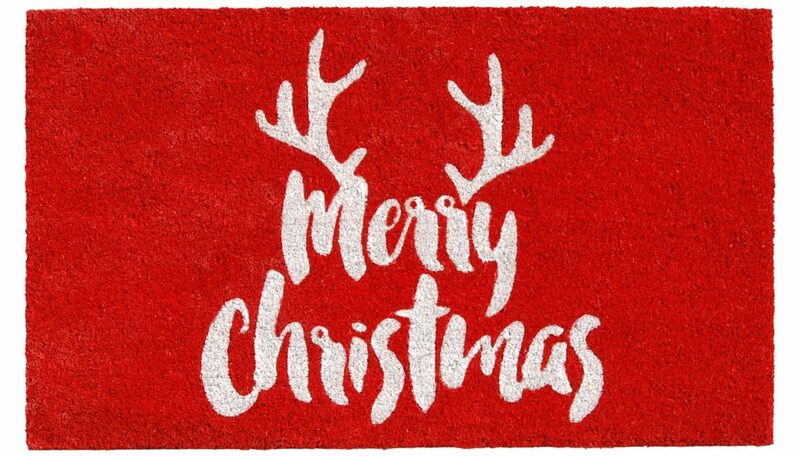 These are really adorable doormats dear! 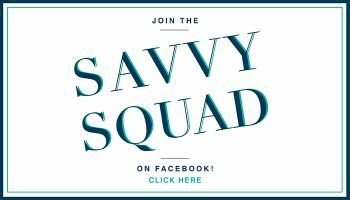 Would love to check them out. Thanks for sharing dear! Omg hahahha soo funny. 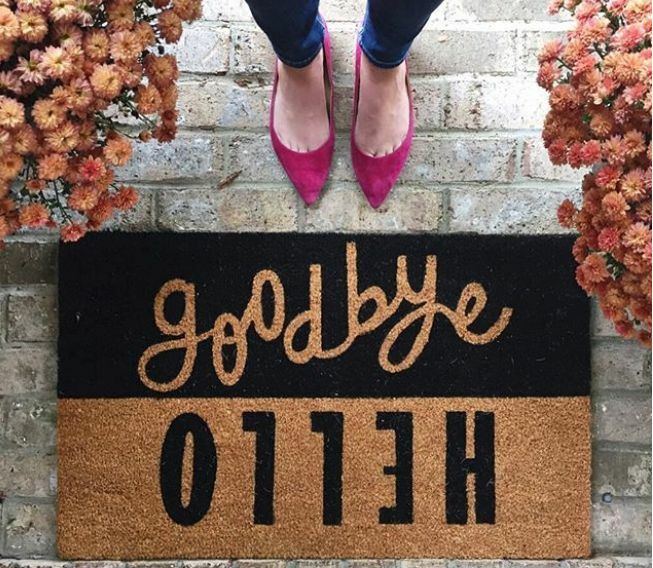 I can’t wait to get my own place in the future just so I can get a funny doormat. Love the Hello/Goodbye one! 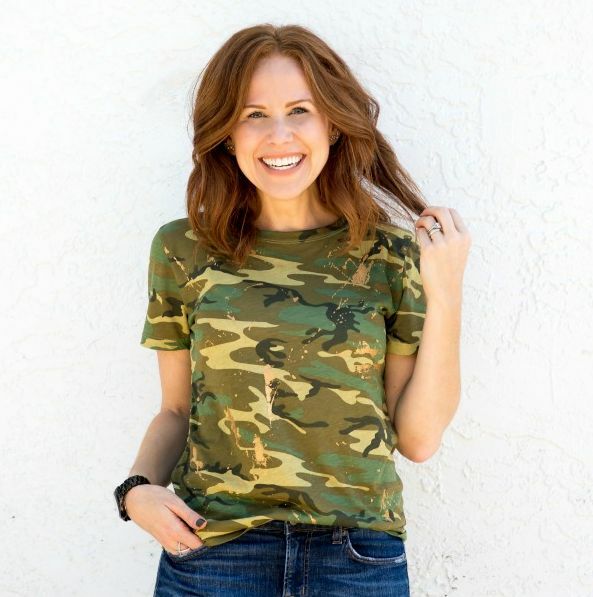 But “If You’re Amazon” speaks to me as well…ha! the I got wifi one is just perfect! LOVE IT ! 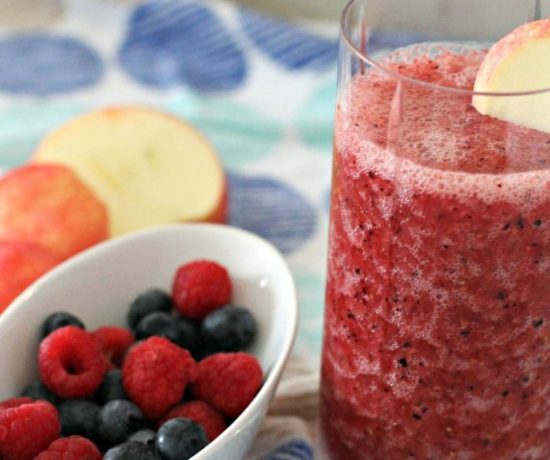 Oh, I love these! What fun!